With a tumultuous political landscape in Washington, congressional leaders have struggled to design a strategy to approve the 12 annual spending bills for FY18 that provide funds and policy directives to federal agencies and departments. This is due in large part to conflicting priorities and proposals among Republicans in the House and Senate, and compounded by the wide range of controversial proposals put forward by the Trump administration. Making things even more difficult, in addition to keeping the government open when the fiscal years starts on October 1, lawmakers will need to vote to raise the federal debt ceiling and reauthorize the Children’s Health Insurance Program. The FY18 appropriations bills will set spending levels for research agencies, such as the National Science Foundation, National Institutes of Health (NIH), Department of Energy, and many others. The budget for the Department of Education will establish academic year 2018–19 funding levels for the Pell Grant, Federal Work-Study, and other Title IV student aid programs. In August, the House Budget Committee approved, on a party-line vote, a budget framework. The framework would provide a fast track for tax reform, and calls for, over the next decade, $203 billion in entitlement spending reductions. However, under pressure from both moderate and conservative Republicans, Speaker Ryan had trouble finding enough votes for passage by the full House, and faces a hard time appeasing concerns from both flanks. It is very likely that we will see temporary budget measures approved in the final days—or even hours—of September, keeping the federal government running at FY17 levels and preventing a shutdown, until lawmakers can agree on FY18 spending. The federal Perkins Loan program is set to expire on September 30. Rep. Elise Stefanik (R-NY) has introduced H.R. 2482, a bill to extend the program for another two years, but the likelihood of its passage is questionable. President Trump’s FY18 budget request assumed that the Perkins Loan program would end, and, when asked about the outlook for the program, Capitol Hill Republicans referenced efforts to streamline the federal student aid programs. Advocates have called for the program’s extension until it can be addressed as part of a broader student aid reform effort in the reauthorization of the Higher Education Act. However, in the current environment on Capitol Hill, the prospects for action on HEA are slim. NACUBO has endorsed calls to temporarily extend the Perkins Loan program, but is not optimistic that the program will continue. The challenge of adopting spending bills for the upcoming fiscal year has been further complicated by Republicans trying to use the budget process to not only allocate spending, but also issue reconciliation instructions. These instructions to various committees in the House and Senate would call for reductions in entitlement spending for programs like Medicare and Medicaid. Most importantly, however, they would pave the way for a tax reform bill to move through the Senate under expedited procedures. With health-care reform legislation failing to advance in the Senate, Congress is expected to accelerate efforts to develop and advance tax reform legislation. NACUBO remains diligent in its tax reform efforts, and most recently, in July, submitted a statement to the Senate Finance Committee that outlines the range of issues being considered in the development of this legislation that would impact colleges and universities, faculty and staff, and students and families. NACUBO’s federal affairs team has been meeting on Capitol Hill to discuss concerns with congressional staff involved in developing tax legislation. 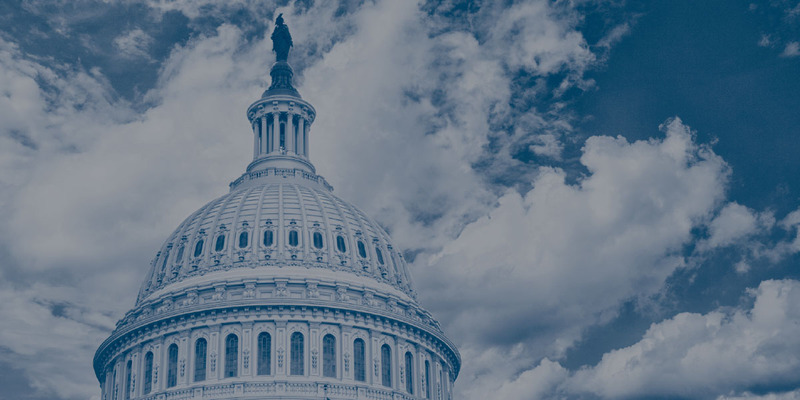 In coordination with several other associations, NACUBO has also been engaged in efforts to reject the Trump administration’s proposed 10 percent cap on the reimbursement of facilities and administrative (F&A) costs connected to National Institutes of Health grants. Additional language in the bill also prohibits other funds in the legislation from being used to implement any additional caps on F&A reimbursements, however, the issue will not be resolved until the final FY18 budget is approved and signed into law. Further, NACUBO anticipates that Trump administration officials will likely continue their calls for limiting indirect costs reimbursements in future budget years.